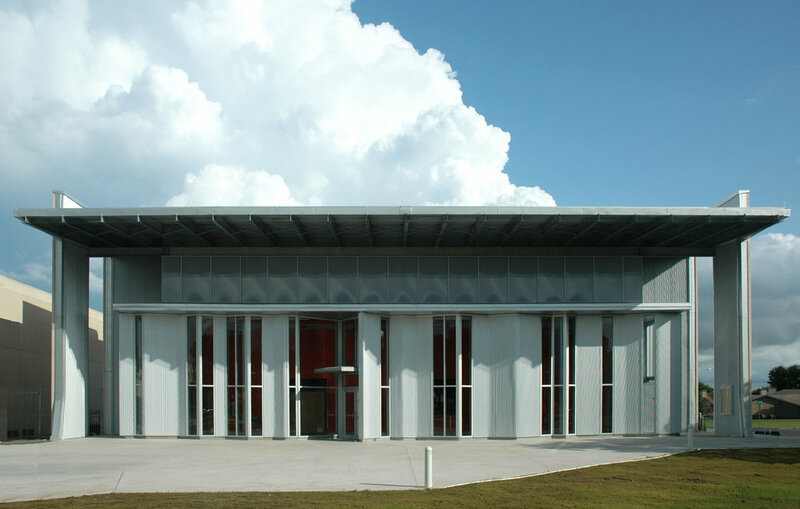 Establishing a revitalized arts presence within a campus of tired high school buildings, this 500 seat multiform performing arts center connects to the exterior through an outdoor performance area. The new theatre building is composed of inner and outer shells. The sidewalls of the structural outer shell form a masonry box composed of the same brick and box-like form as the existing school. Shredding the box reveals and masks the inner shell. 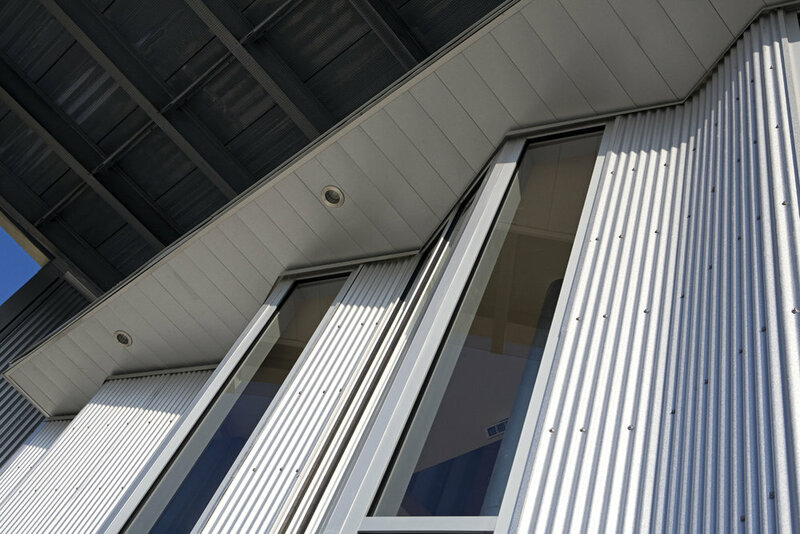 The baffled walls of the house interior, whose form shapes its acoustical environment, are revealed on the exterior. 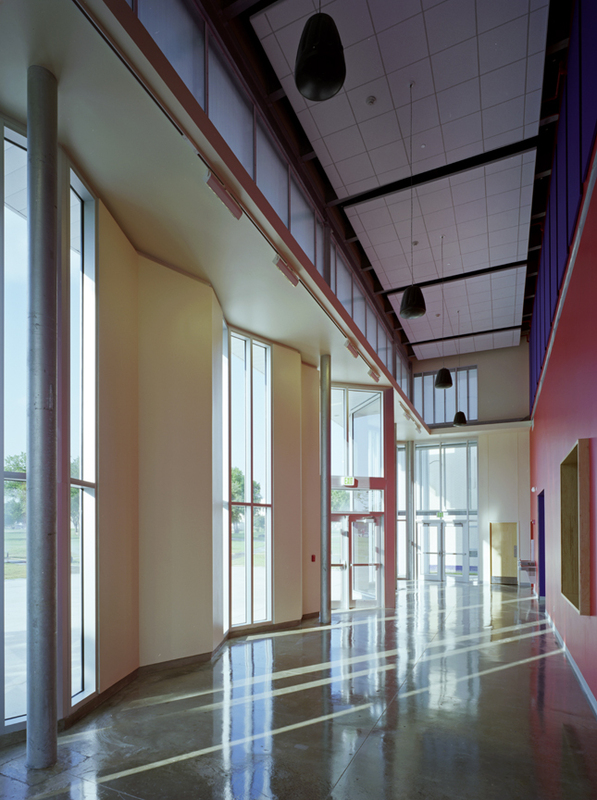 The entry lobby, with its curtain like acoustical wall, is a building within a building. Resembling stage set construction it stands under the overhanging roof of the sheltering outer shell acting as a backdrop to the courtyard performance space. Workshops, dressing rooms and a classroom are located in the back.